I can’t seem to stop smiling this afternoon. 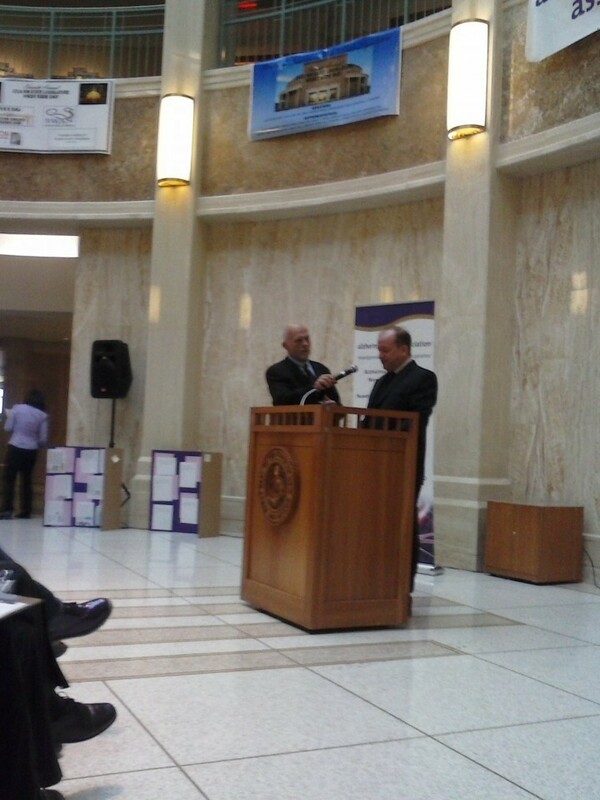 I’m smiling because of my morning – I went to the Roundhouse, the New Mexico State Capitol Building, to watch Art Therapy intern Todd Nichols speak in the Rotunda. A number of senators and state officials also spoke, but they didn’t bring art! Todd brought three beautiful prints created by the elders he works with at Sierra Vista. The prints are stunning and worthy of hanging in any gallery. 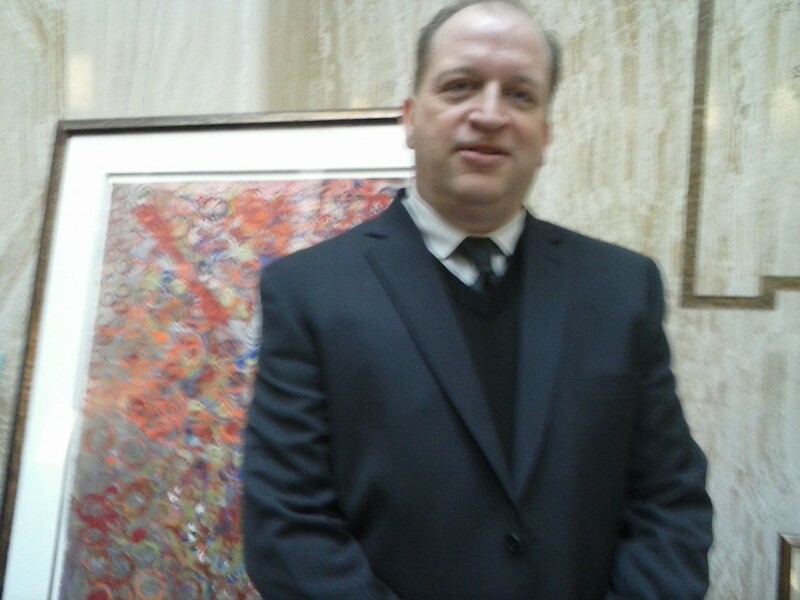 They will now become a part of the Capitol’s permanent collection. The technique of printing was explained, a directive was given to choose a color. Each elder is represented by the color they chose. Step two; place the medicine cup in the paint and imprint the cup on the paper wherever they felt their color was needed. . . .The elders came and went as the prints evolved. A couple comments were “this art making has punch” and another commented “how exciting” the printing was. During the printmaking, songs were sung by the elders, some with words, some hummed a melody and another created her own song that went, Ta, ta, ta, ta. . . . The closure of the session was always done by one particular elder. She would ask to have the prints held up in the window so they could see them in the sunlight. . . smiles emerged, light applause was given. The prints are abstract, the definition of what “finished” is, was left to the elders. . . A vote was cast by the artists on the most appropriate titles for each print. The titles are: “Silver Animal”, “Something Including Confusion” and “More Conscious Jewels”.